Top Tips for Eating Well – Fundraise for The Brooke! You may have over-indulged at Christmas, eating and drinking just that little too much. Now we’re into the month of detoxing, health and fitness regimes and looking ahead to challenges for the year…Which is why signing up for something like a run in aid of a charity is a great chance to kickstart healthy habits. 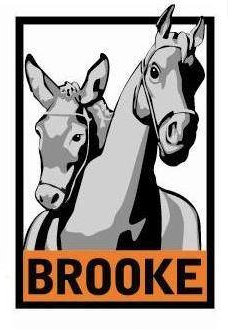 30th May this year marks the BUPA 10K run in aid of The Brooke, a global animal welfare organisation dedicated to improving the lives of working horses, donkeys and mules in some of the world’s poorest communities. This is an ideal opportunity to sweep those cobwebs away and get geared up to pound the streets on behalf of The Brooke. 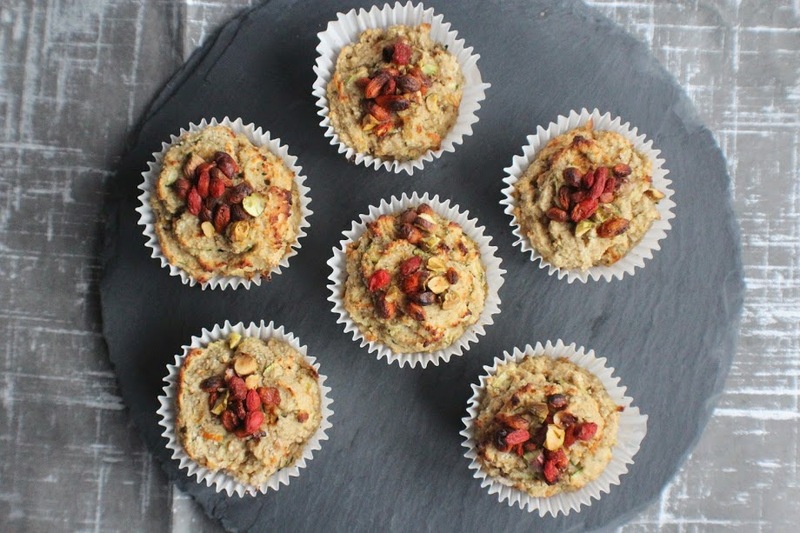 I’ve been tasked with creating some healthy recipes and sharing tips to get you into the running spirit. Because diet and fuelling your training is absolutely key, here I’m sharing some of my top tips when it comes to eating well – plus a delicious recipe packed with healthy ingredients you can enjoy either as a pre or post run snack. It is essential to rehydrate and refuel when training, so be sure to heal your body through making the right food and drink choices. How much you need depends on your body mass and fitness level, but try and consume something substantial within 30 minutes after a running session to replace the depleted nutrients and reduce muscle soreness the following day. Eating a balanced meal after a run aids recovery, replenishing your body’s stores and preparing it for the next session. Both carbohydrates and protein are critical for full recovery after training: carbohydrates are the body’s main fuel source, while protein is vital for the growth and repair of muscle tissue. Choose natural but fast releasing energy snacks like bananas, rice cakes, peanut butter, wholegrain pasta, oats or yogurt. Don’t reach for the sugar! It can be tempting to reach straight for the jelly babies for a fast energy fix, but you’ll only experience a sugar crash soon after. Instead, go for natural alternatives and if you’re really craving something sweet, choose something that includes cacao powder, which helps to regulate blood sugar levels. If you are training regularly, your immune system can be depleted so it is important to take supplements which contain a full range of vitamins and minerals to keep your body going – both during your run and also the recovery time in between. Remember to replace fluid losses by topping up your fluid intake and drinking plenty throughout the day. Good old water and herbal teas are best, while it’s best to avoid coffee and fizzy drinks (even no added sugar ones) as they can contain caffeine and act as a diuretic. Preheat the oven to 180 degrees C. Place 6 cupcake cases in a muffin tray. Mix together the flours, protein powder, grated courgette, natural sweetener, cinnamon, baking powder and orange zest in a large bowl. Whisk the eggs with milk and vanilla extract. Pour this into the dry ingredients along with the apple puree and gently fold in, until you have a nice thick batter. 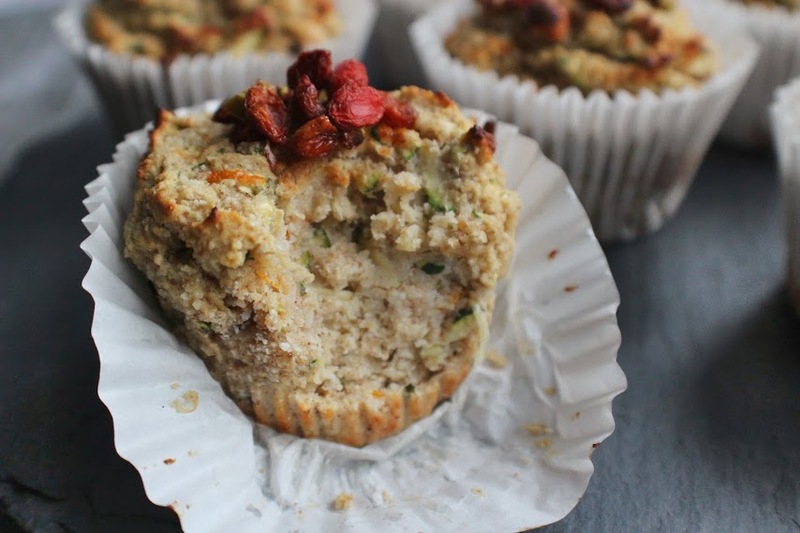 Spoon this into the muffin cases until just about full. 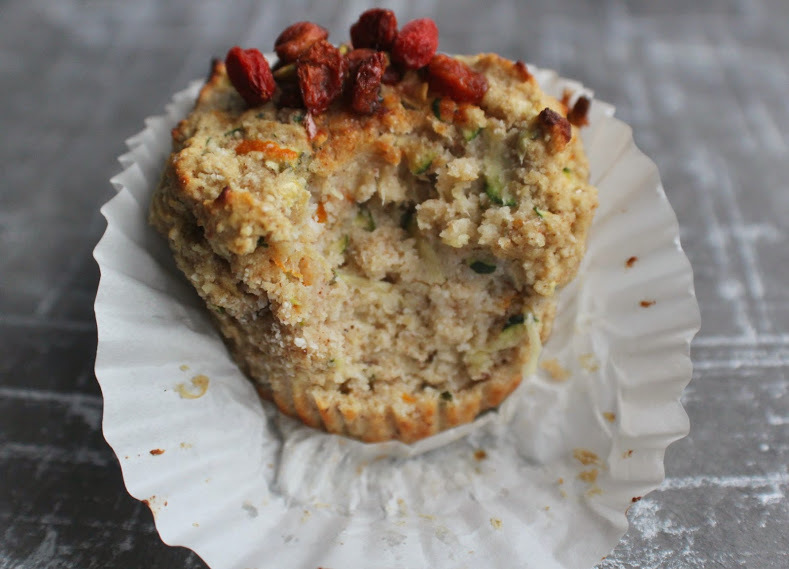 Scatter over a few goji berries and pistachio pieces on top of each one, then place in the oven. 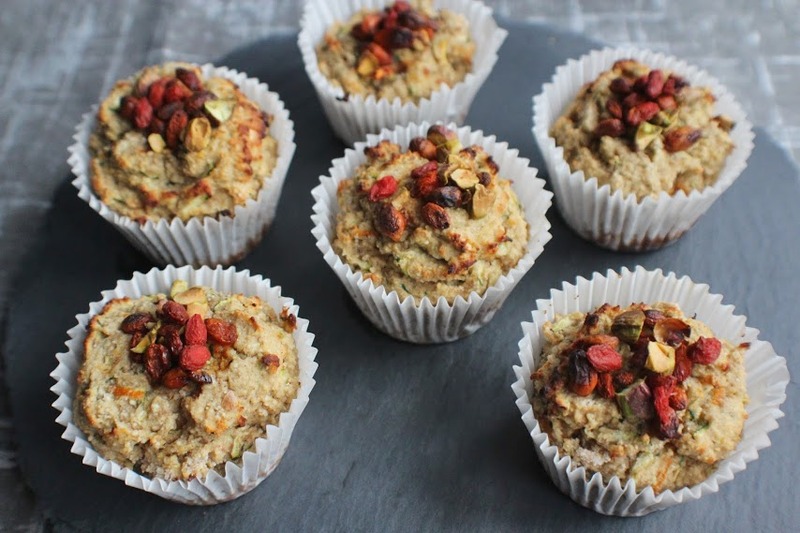 Bake for 15-20 minutes in total, but after about 5 minutes you may want to cover the tray with tin foil as the goji berries and pistachios can burn easily! Once golden and risen, remove from the oven and leave to cool slightly, before transferring to a wire rack. Eat warm or leave to cool completely – enjoy! Fancy running on behalf of The Brooke in the BUPA 10K? Get signing up today!